If all was working well in NXT4, why would you upgrade to NXT 6? As you found out, the newest is not necessarily the greatest. Sorry I'm late to this topic - I live in a different time zone from most. The folk on this bulletin board are fellow software users, and not Corel Support. However we often know or can find out what actually works when Corel says it doesn't, or what just doesn't work when Corel says it does. I have computers here running NXT4 and NXT6. 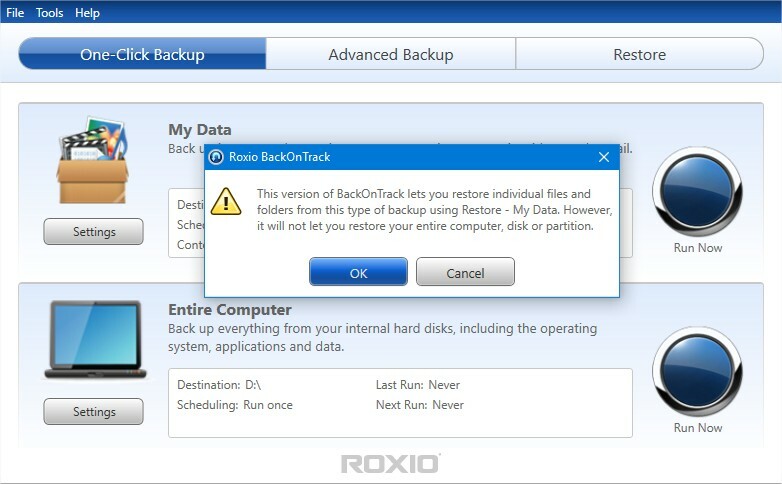 Would you tell me please, WHAT TYPE of backup have you done on NXT4 that you're trying to restore on NXT6? I'll need as much detail as you can give if I'm going to duplicate your efforts, so please don't spare the details. -which menu choices you used in BoT, and what settings? -what you were trying to restore, and how you tried to do it. With that info I hope to try the same thing and either confirm your result or perhaps point to something you got wrong. "I just got fed up with NXT 6 and got a refund"
You haven't given too much of the detail I asked for Rob, but I think I can work out broadly what you were doing. I put some photos and videos and documents and music onto the drive and then did a One-Click 'My Data' Backup to a 1.5TB WD Elements USB drive with BackOnTrack [BoT 17] Version 17 from NXT Pro 4. The backup amounted to 3.10 GB and was about 3,000 files. All the files I expected to be backed up (given that the thing is filtering by category) turned up on the portable drive, and were restored successfully to a different folder by BoT 17. I then took the portable drive to the NXT 6 machine and hit Restore in BoT 19 - the NXT 6 version. Since BoT 19 didn't know what I had been doing on the other machine, I got no result from the "Use the latest backup" button and had to tell it to let me choose and then go search. It didn't find anything under Portable drives, but quickly found the drive under Hard Drives. It restored everything from the BoT 17 backup, without problem. For me Version 17 (NXT4) backed up more or less what I expected, and Version 19 (NXT6) restored it all without compatibility issues. I think there are only cosmetic differences between the two versions. You need to read the Help files quite thoroughly before you use the program, especially the parts dealing with categories of files to be backed up. Be Aware that you can't restore a system disk or a whole partition with either version (the Help files are wrong in this respect) because "Disaster Recovery" has been disabled for some years now. The help files haven't caught up yet. Thank you all. I agree that the latest is not the best. 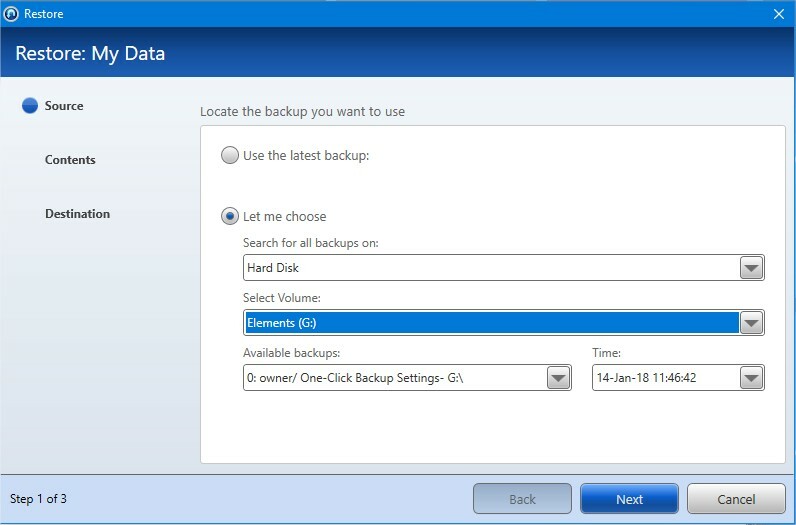 With a brand new system, there were no backups to find on the main hard drive after installing NXT 6 and the NXT 4 backups on the removable drive were not seen. Also I had the problem of getting empty folders on trying a backup with NXT 6. All is well now with back to using and staying with NXT 4.